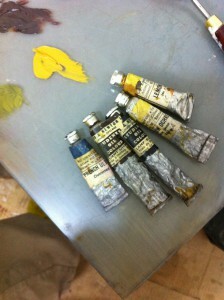 You cannot buy Chrome yellow paint nowadays as it is a resticted lead pigment. 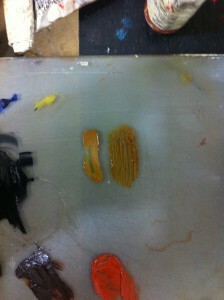 If this is genuine chrome yellow guard/use it wisely and don’t get it on your hands/eat it. SImilarly for genuine Vemillion (mercuric sulphide). Thank you for your expert advice; it’s a warning well worth heeding. Older pigments can be much more dangerous than modern ones.